You are here: Home / About / Blog / Employee News / Taylor Technician of the Year Announced! Taylor Company takes great pride in their award-winning service organization. The factory-trained technicians is second to none in the global foodservice marketplace. Taylor’s success as leaders in foodservice equipment manufacturing is due, in part, to our technicians’ ability to support our customers throughout the life of their Taylor Equipment. To maintain this success, it is Taylor Company’s mission is to recruit and retain only the best technicians available. Technicians who exceed our already unparalleled expectations are nominated by management for the Taylor Red Cape® Technician Program. 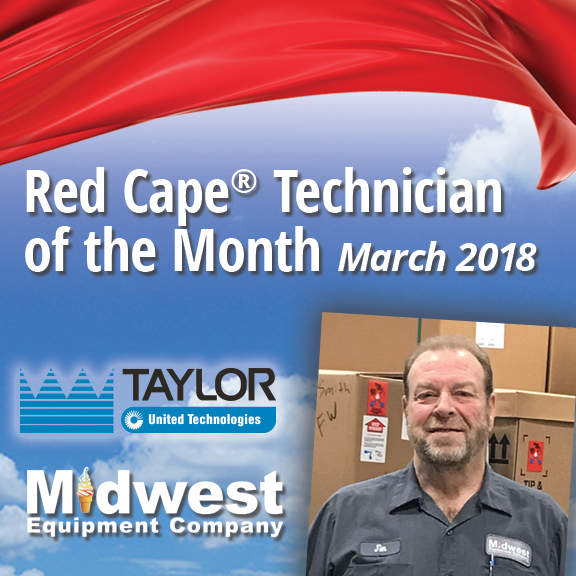 Each month, a Red Cape® Technician of the Month is selected from the pool of nominations by Taylor Service Leadership. In March of 2018, our very own Technician, Jim Daum, was awarded Technician of the Month! At the end of the calendar year, the 12 monthly winners are candidates for the annual award. 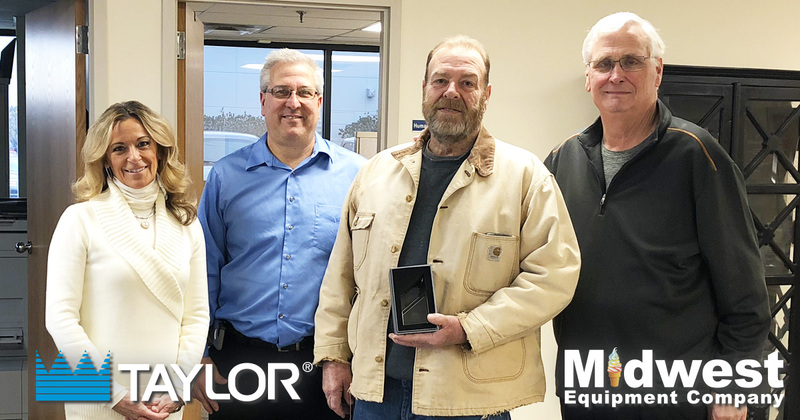 The Annual Red Cape® Technician of the Year is determined by the votes of the Taylor Leadership team. This year, our very own, Jim Daum, was voted 2nd place – in the worldwide Taylor Technician network! Jim devoted 40 years as a technician at our distributorship.